Wildlife is surrounded with spectacular beauties and mesmerizing charm of wilderness. Javan Rhino is a one-horned rhinoceros from Rhinocerotidae family. They have small thorn compared to their other counterparts. They are one of the rarest amongst their remaining population of rhinos. Length wise these gigantic rhinos are about 10 feet long and upto six feet by height. 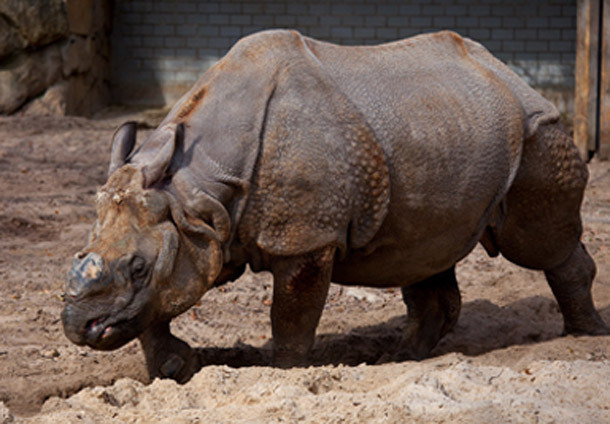 These rhinos are hairless and gray in appearance. Majority of Javan Rhino were found earlier in the islands such as Sumatra, Java and other parts of the Southeast Asia, however now out of 44 animals only few are remaining in Indonesia. 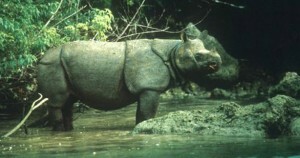 As per the International Union for Conservation of Nature population of Javan Rhino is critically endangered. Illegal poaching of Rhinos has caused many concerns. Rhino Protection Unit has been set for the animal conservation and to sustain these magnificent treasures of the jungle. Life span of Javan Rhino is roughly upto 30-45 years and gestation time of 15-16 months. Rhinos spend major part of their lives in water and around the low grassland areas. It is a high time to save these endangered rhinos other our next generation will not be able to see such a magnificent species. It is better to save such and ignorance can really cost planet earth this beautiful animal.